These are only a few of the many machines we have designed & built over the past few years. They represent a small portion of the solutions we have devised to address safety & production issues in manufacturing. 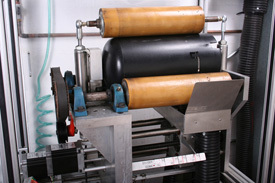 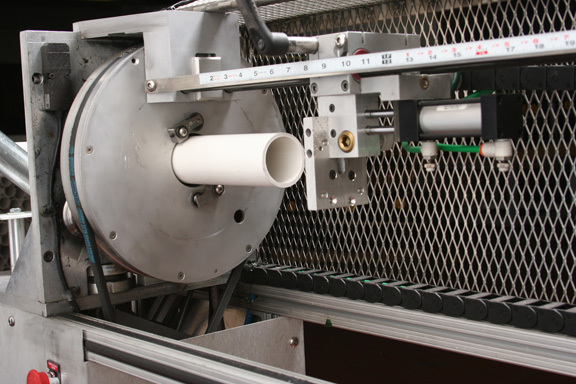 Rotary head PVC tube cutting machine. 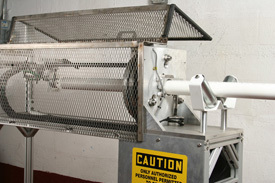 Safer, 4-times faster and quieter than the chop saw the costumer was using. 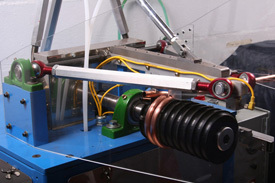 Linear actuators inside the rotary cutting head of machine at left. 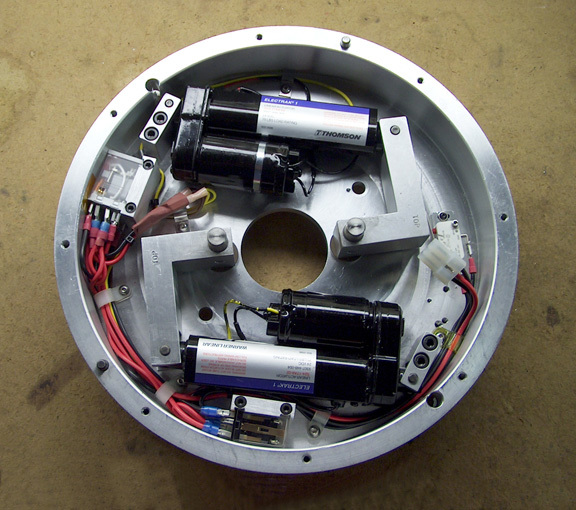 A view of the rotary cutting head with stop / actuator mechanism. 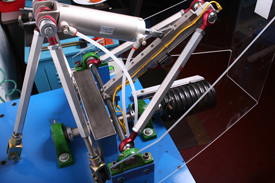 Close-up of the stop / actuator mechanism. Mandrel bending machine for winding coils of copper tubing. 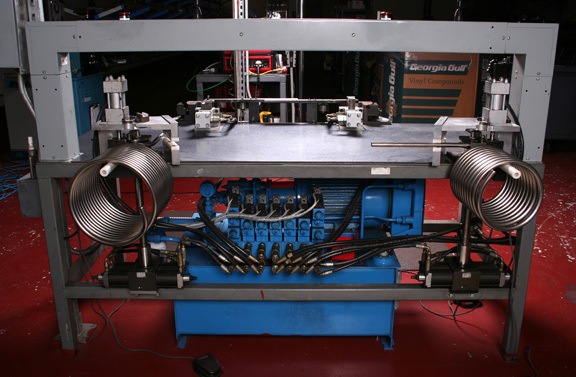 Provides absolute pitch & diameter control. 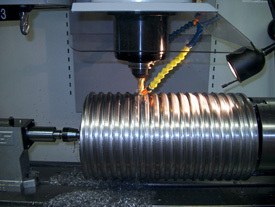 Overhead view of Mandrel bending machine at left. This machine replaced a dangerous & dirty hand router setup. Close-up of CNC form router at left. 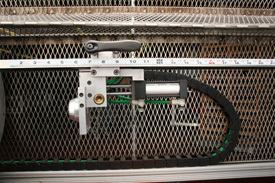 Rapid decompression test chamber with ¾” ballistic plastic walls. 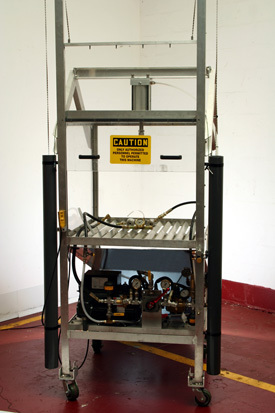 Allows for destructive testing on-site, up to 16,000 psi. 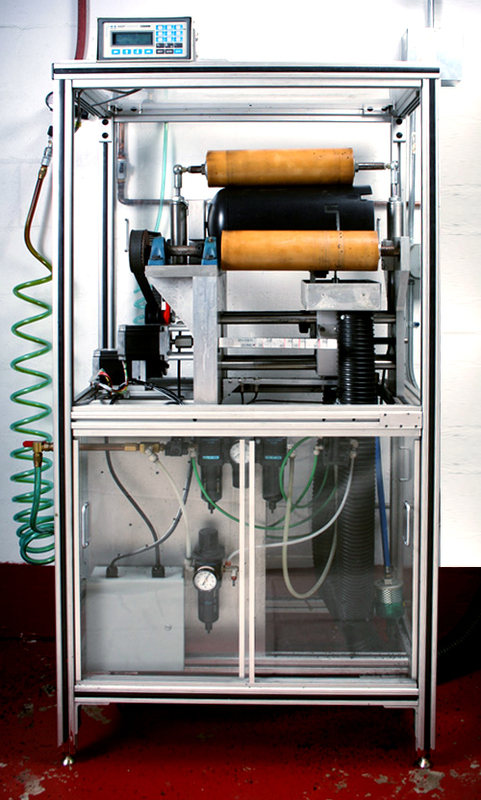 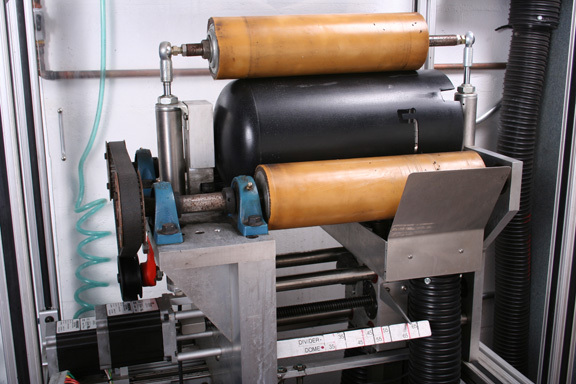 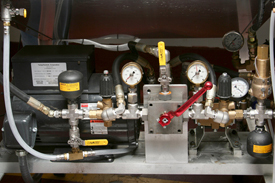 Close-up of high & low power hydraulic system for test chamber at left. Cutting a 4 axis helical steel mandrel for coiling ¾” Titanium heat exchanger coils. 5-station hydraulic benders for making secondary bends. 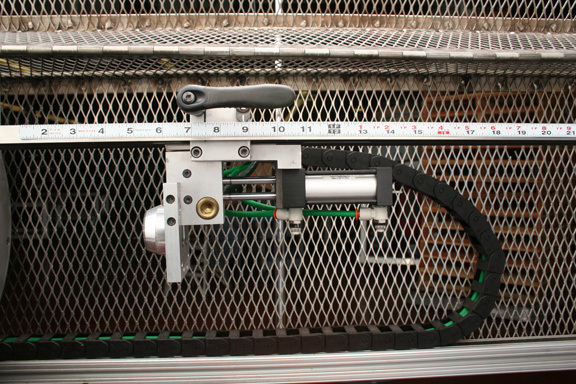 Replaced hand benders, speeded production by six-times & reduced scrap dramatically.